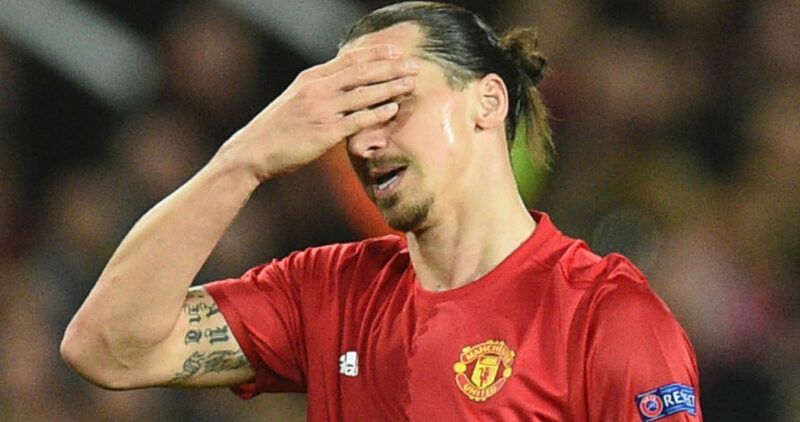 Manchester United have been dealt a huge injury blow in their pursuit of Champions League football with the news that Zlatan Ibrahimovic will miss the rest of the season with a knee injury. The former Barcelona striker suffered the injury in the final seconds of normal time during United’s Europa League clash against Anderlecht as he landed awkwardly after jumping for a header. The Swede received lengthy treatment after the final whistle and was able to limp away without the need of a stretcher as he was replaced by Anthony Martial. That led to team-mate Luke Shaw admitting that he felt the striker’s injury was not as bad as first thought, but Goal understands that is not the case. Ibrahimovic’s absence could hit Jose Mourinho’s side hard as they look to finish in the top four of the Premier League and win the Europa League in the final weeks of the season. Having arrived from Paris Saint-Germain on a free transfer last summer, Ibrahimovic has scored 28 goals in all competitions, including a double in the League Cup final win over Southampton. Marcus Rashford – who starred in the recent wins over Chelsea and Anderlecht – will likely now fill the void for the remainder of the season, with United still to play Manchester City, Arsenal and Tottenham as well as Celta Vigo in the Europa League semi-finals. Ibrahimovic may well have now played his last game in a Red Devils shirt, with his one-year contract set to run out at the end of June. Reports have varied on whether he will take up the option of a second-year, though the potential of a long-term injury could yet have a bearing on where he plays his football next term. The severity of Ibrahimovic’s injury is yet to be fully assessed, though reports in Italy suggest he could be facing up to nine months out if he has damaged his anterior cruciate ligament. Should that be the case, it is possible United could assist him with his rehabilitation, though any contract would be on different terms than those originally on the table had he been fully fit.